Service rifle or match? If you go service OR match, I suggest an AR platform. 223/556 in service, caliber optional for match. The daniel defense in 5.56 and with the pistol grip will be much easier to shoot than the M1 Garand. I will let others chime in about the features of the DD and what is legal for service rifle and what isn't. Shoot the safs at Perry. There is a lot to learn. But I do believe that pistol shooters can have an advantage in rifle. If you master trigger control you are a step ahead. If you can shoot within your aiming area for slow fire you will be a step up in offhand. That is my opinion coming from the other direction, anyway. An M1 is nice, but they and tge M1A are no longer truly competitive. The only advantage is at 600 in the wind but it isn't enough to overshadow the short line advantage of the AR. The AR will also need fewer tune ups during its life. So Gert the M1, but put it aside for classic matches. Do it. Learn the rules and scoring procedures first; HP competitors serve double duty as match officials much more than in the pistol disciplines I've shot. I don't fall in the "proficient" category in either pistol or rifle - "eager" would be a better description. I recently started shooting HP and it's a ball. The overall feel of the match is similar to Bullseye so I felt pretty comfortable even at my first match. John is right - learn the rules and procedures. The overall feel of the match is similar but the commands are a little different, how to score a target is the same but the process can change. I can't speak for all clubs or matches but at our club the participants remind me of Bullseye shooters too - "Oh, you want to try high power. Here's a rifle you can use, take some ammo too. No spotting scope, no problem, use mine". We're lucky to have a great match director who has a standing offer for anyone that wants to try a HP match - show up with eye & ear protection and he provides everything else for your first match (and more than one match if you need it). All of the HP shooters at our club are thrilled to coach a newbie...until the newbie outscores 'em on a target or two. Then the coaching slows down drastically. My main recommendation is the same as it is for folks thinking about trying Bullseye. Jump in with both feet, show up early to help set up, stay a few minutes extra to help clean up, be friendly, have fun, learn something. If you happen to shoot well too that's a great bonus. I started shooting HP in 2008, chasing after DR. I shot the Garand for four years, stubbornly resisting those more experienced than I who said I should switch to the AR. In hindsight, I wish I had listened to them sooner - I might have more leg points! Sitting on 14 right now. You may have put the cart in front of the horse with the DD MK12 rifle, but they have excellent resale. Once you invest in sights for it you will have spent enough for 2 good Service Rifles. Years ago I had a coach tell me, "Put that match rifle away until you go Distinguished". A few years later I was Distinguished, made P100 and was a Master knocking on HM and had a great time shooting with the State Service rifle team at Perry. Previous poster was correct that being able to shoot within your float will help in offhand. Building a good position is key to an almost invisible float in rapid fire and learning the wind is the key to slow fire scores once you master the basics. BUY A RULEBOOK and read it. Giving speedy and proficient pit service is good sportsmanship and paying close attention when scoring is very important. I'm the mirror image of you, just moving to the pistol side in search of Double Distinguished. My experience is to use an AR platform. 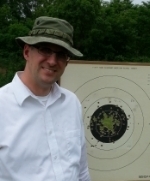 I found that my bullseye pistol shooting helped me in standing and with trigger control. Prone was my weakest point, but YMMV. +1 on the White Oak Service Rifle upper, I have 2. Get the rear sights pinned. Add a Geissele Hi-Speed Service Rifle Trigger to your lower, it's the best trigger out there. I loved shooting HighPower and was really into it when an old neck injury started acting up and I couldn't shoot prone anymore so I made the switch to "Precision Pistol". I still hope to return to it and go distinguished. Also I know the rules have changed for service rifle (CMP) and I believe you can now shoot a quad rail, but I think it has to be an approved quad rail. AMU and PWS shooters recommended a good lower, Aero Precision being an inexpensive option, the Geiselle trigger, and a white oak precision upper. I'm buying my first service rifle next year and figure those guys probably know what they're talking about. Considering they're the best in the country, I took their advice. Bought two lowers, one for my Son and me. I'll be picking up two uppers from White Oak Precision (Post Ban). I shoot both rifle and pistol. The M1 is great for CMP as issued matches. They are a lot of fun. Go for your distinguished rifle badge and get an AR service rifle, shoot EIC matches and NRA Highpower. Lots of great info. I think my purchase of the MK12 was a bit ill advised. I asked around about what ar to buy. Daniel Defense kept coming up. I should have asked NRA Highpower people! oh well. Rifle is fun. Most people struggle with standing. Pistol is huge in helping build a good standing position. Get a good DCM style upper. Get an A2. The loads people use are proven. The scores are extremely high. X's matter. Have someone show you how to get the most support from a sling. 80% of shots use a sling. Hey, what part of the country are you from? I am just the opposite...have a long time on the rifle, but have been wanting to shoot hardball pistol. I am so heavily invested in rifle, it's hard to make the switch, but I friends all over the country that may be able to give you some head start. Regarding your equipment, service rifles have a strict requirement that they must fit, like a hardball pistol. If you don't care to build a purpose built rifle at this time, you can shoot what you have in NRA matches, under the "any rifle" class per the NRA high power rules. Here in PA, we are attempting to cultivate that crowd of shooters just to get them into the sport. orpheoet wrote: Lots of great info. I think my purchase of the MK12 was a bit ill advised. I asked around about what ar to buy. Daniel Defense kept coming up. I should have asked NRA Highpower people! oh well. their advice on the Mk12 was only ill advised in that it probably cost you extra money, but it should shoot very well and is worth using to learn. The better you get at one discipline the harder it is to start over at the other so if you have a honest desire to learn both you should start now. Your eyesight matters in rifle so start now for that reason alone. Practice at some each time you practice but in my opinion pistol is harder to master than rifle and pistol skills transfer to rifle more that the other way around. both has specific skills that have to be ingrained through practice and there are only so many hours in the week, so you must decide which is more important. Being Double Distinguished I can tell you, be careful what you wish for though, once you start with service rifle it's easy to want to shoot X's at 1000 yards with the Palma folks. Your back account will never be the same. As I understand, DD makes a very good rifle. I just looked up what a MK12 was. If you are planning to use this rifle, you absolutely CAN compete in NRA highpower in the "any sight" class. It has a 1:7" bbl which will allow you to shoot 77 & 80 grain bullets at the long line. You would have to use it as an optics rifle since the barrel is just too short for a iron sight setup. I'll post a pic of my optics rifle (that I never shoot) as an example. Just a reality check... there is an optics class in XTC HP, but no one shoots it. Sure, you can shoot with optics, but you probably will be the only one. For Midrange prone 3X600, or Long range 3X1000, which are 3 matches of 20 at 600, or LR at 1000 yards. They are usually two matches any sights, and one match irons. Most do shoot the first two matches with a scope, then put the irons on for the last match. I used to shoot the MR and LR matches that way (2 scopes, and an iron), but couldn't get out of the master class. I would shoot clean or close to clean with a scope, then drop points with the iron match. I whined stuff you will hear like "its shouldn't be a seeing contest, or my old eyes cant see like they used to". Then an older shooter told me, if you want to get to HM, get rid of the riflescope. I had nothing to lose, so that's what I did. My scores came up each time. Of course I cant see like I did when I was in my 30s, but the mind figures out where to put the two blurry things to get into the X ring eventually. Long story short, I made HM in Long Range, and Mid range at 66 years old. Its nice shooting the Any sight matches clean, or close to clean with irons, and hearing the groans when the guys have to put on their irons for the last match. I also made HM in International Fullbore last year at age 67, which iron sights are mandatory all the way, and have to use a .223 or 308 cartridge. The course of fire is 300, 500, 600, 800, 900, and 1000 yards. Very challenging! I want to add that WOA isn't the only way to go for an AR upper. Its been my choice, and have three of them. But, Frank White of Compass Lake, and John Scansdale of Keystone Accuracy, are also choices of top shooters, and you cant go wrong using. I agree about the scope class, but since the rifle portion of the national matches has dropped off in recent years, just as bullseye has, there are a few of us who are actively and without bias, trying to cultivate some new shooters from the "tactical" side of the rifle sport who are looking for something more skill demanding and a little more broadly regulated on a nation wide. We recently ran a clinic here in PA that was aimed squarely at some of these shooters. They were very surprised at the level of difficulty and were also pretty thrilled at the personal reward of position shooting, just as in shooting a pistol with one hand, which I would love to master one day. I built the above rifle, because, well...I build rifles, but even though it's a great "any sight" rig, like you, I would much rather shoot iron sights any day of the week. I earned HM both across the course and LR at 1000 with the iron sighted service rifle. It was a great accomplishment that I will always hold close, but I refuse to turn up my nose at other guys, as some self proclaimed purists do at some potential new rifle shooters with non conventional NRA match rifles who would like to "run what they brung" to a match. Unfortunately, the shooting sports have taken it in the pants in recent years, and I want to be one of the ones who is active in changing that, regardless of venue or discipline. I apologize if I came off as anti-optics, that wasn't my intent. I do get frustrated that some wont try, or use it as an excuse. Several years ago our MD promoted the optics class, another shooter and I rigged our ARs with a scope so when we get someone, he wouldn't be shooting alone in optics. We hoped we would get several form the tactical crowd. We only had one guy try, he only shot one match and quit. I hope you have better luck! Times are different, maybe it will happen. IMO scoped rifles for HP will happen only when the CMP allows it for service rifle. My feeling is it will happen in the not so distant future. has a optics class. Don't know if any changes will really help, both are a tough game, and it takes time and effort to improve. I think you made an accurate observation.